Broadly speaking, co-design is a method for the creative practice, and is also known as participatory co-creation and open design process. Moreover, the method goes beyond consultation by creating and deepening collaboration among citizens attempting to resolve a challenge. It is crucial that the users are willing to share their experience within the design process. The e-democracy concept – a web-based concept for co-creation, intended ot support democratic decision making, has been discussed more and more over the last ten years for various reasons (Macintosh, 2004). Many citizens are questioning traditional forms of democracy and thus want the policy-making processes to be more innovative and “co-design-driven”. Moreover, the demand for being more intensively involved appears to be on the rise. Additionally, it is vital to encourage democratic societies to share different views and opinions of active citizenship by direct involvement and engagement via co-designing (Tuzzi et al., 2007). E-participation is beneficial to e-government since it is linked to the relationship between government and citizen. (Lironi, 2016). In line with the latest report of The World Bank (2016) this co-design / crowdsourcing method can be used to collect and merge data within RIS’s entrepreneurial discovery process to focus on the policy mix. The method’s primary concept facilitates the idea behind crowdsourcing and is intended to be quick, efficient and simple. As recommended by The World Bank (2016) the method encourages a culture of a public–private dialogue, expands public administration’s online presence, including in social media, and facilitates the collaboration among stakeholders. a definition of the expected outcome (Sherriff, 2015). Furthermore, the users should be committed to the co-production process, since the users have different roles at different stages of the design process (Sherriff, 2015). Participation: co-design represents a collaboration. Development: co-design is a process of development for exchanging information and know-how continuously. Ownership and power: co-design moves power towards the process. The generation of a framework, which describes the required balance of rights and freedoms among users, is required. This will help to establish a sense of collective ownership of the challenge to overcome. Outcomes: co-design actions are creative, practical, and outcome-oriented. Defining objectives plays a key role. engaging stakeholders in a specific way. horizontal movement: cooperating with colleagues from parallel organisations in the same region or in another. vertical movement: working with stakeholders on different services across the chain level. intensity: fact-finding involvement by forming the results with the citizens. Citizen contributions are powerful. In addition to creating new ideas and solving issues, for instance, turning conceptual solutions into specific designs for implementation can be also facilitated. This method of co-design is becoming increasingly popular because of several advantages delivered by web-based tools (e.g. support of sharing information, visualisation, virtual prototyping, and collaborative idea building). Web-based virtual co-design and prototyping instruments are used to establish an idea, design and develop a prototype. By using this, citizens can create new concepts together and detail these ideas on design boards online. Stakeholders can articulate and visualise their own solutions (Sherriff, 2015). Because creativity plays a crucial role throughout the processes, this method also shows great potential to facilitate the entrepreneurial discovery process. “Citizens as Partners: OECD Handbook on Information, Consultation and Public Participation in Policy-Making” was published by the Organisation for Economic Co-operation and Development (OECD). This guide highlights government-citizens-relationships in democracy. It also inspects the relationships in policy-making on the local, national, and international levels emphasising that representative democracy is based on rules and principles which should guide the interactions among the government and the citizens. In the handbook ways are described how the interactions can be strengthened (Gramberger, 2001). In this framework, active participation plays a key role. Citizens are involved in the decision-making and policy-making process, which is an advanced two-way relationship (Lironi, 2016). Co-design facilitates these vital interactions. A framework was created by the United Nations (UN) for e-participation to strengthen government-citizen interactions (United Nations, 2014), such as E-decision-making (Empowering citizens through co-design of policy options and co-production of service components and delivery modalities) (Lironi, 2016). The aim of e-participation initiatives is to “improve citizens’ access to information and public services and to promote participation in public decision-making which impacts the well-being of society, in general, and the individual, in particular” (United Nations, 2014; Lironi, 2016, p. 13). E-enabling means that people who typically would not have internet access and take advantage of the information should be supported. This level also discusses the use of technology to reach more people and offer more accessible and clear information. E-enabling focuses on accessibility and understandability. E-engaging with citizens concentrates on consulting a larger audience to allow contributions and to support deliberative debates on policy problems. In particular, e-engaging refers to e-participation of citizens in consultation by using a top-down approach. E-empowering citizens is about supporting participation and simplifying bottom-up ideas to affect the political agenda. Stakeholders become consumers and producers of policies and therefore can co-design the creation of policies (Lironi, 2016). Results showed that the co-design method represents a learning process for citizens and decision-makers, supports new and innovative ideas to shape policies, and increases the legitimacy of policy-making. Overall, crowdsourcing has the potential to improve legitimacy by generating more trust in the process of decision-making within defining the policy-mix. Thus, if the participants did not receive the desired result, they would still keep their faith in the fair system. The European Union (EU) is strengthening the notion of stakeholder engagement (Warren, 2009; Lironi, 2016). Stakeholder engagement in the policy mix processes – cooperating with each other and accomplishing consensus – is spreading throughout the world. It creates vital advantages (Irvin and Stansbury, 2004). The “European Citizens Initiative” (ECI) is a tool of participatory democracy in the European Union. ECI’s objective is to engage stakeholders directly in the policy mix process in the EU (EU, 2011; Lironi, 2016). 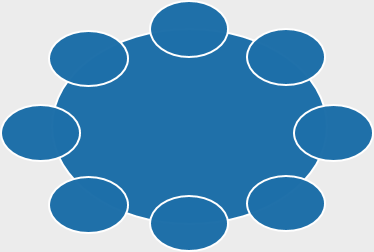 The platform www.puzzledbypolicy.eu was established to invite stakeholders to take part in various policy-making stages that follow the inform-consult-empower framework. The idea of the framework is that the citizen involvement begins with wanting to know more about policies and then discussing them. When they are informed, they primarily discuss existing policies instead of creating new ones (Sánchez-Nielsen et al., 2014; Lironi, 2016). The concept of liquid democracy is a “model of democracy that combines representative and direct democracy and tries to even out the difficulties in both models” (Jansen, 2013; Lironi, 2016, p. 42). To know how to connect with a community, it is vital to know what the already existing instruments for participatory democracy are. Thus, a Liquid Democracy meeting was organised in November 2014 where experts and developers on liquid democracy presented their tools and theories (Reda, 2014). In addition, there were debates on challenges of participation systems, for example, accreditation, transparency, anonymity or real name policies, usability, and the potential of gamification (Lironi, 2016). In this context, “Cbased” (Cbased, 2016) develops toolkits for participatory decision-making processes. Cbased supported the implementation of the tool “Discuto” (Discuto, 2016) to open the procedure to the public (Lironi, 2016). The online platform Discuto “helps you make better decisions” (Discuto, 2016; Lironi, 2016, p. 42) and therefore includes many functions, for example, instant discussions, real-time, scalable polls, instant feedback, etc. Here, every paragraph of the report can be commented on and be voted on for two months (Cbased, 2015; Lironi, 2016). The Discuto e-participation tool is seen as a successful project. Nevertheless, there are challenges that are still unsolved regarding the usage of digital tools for citizen involvement in decision-making while co-designing a policy-mix. The main challenge is to boost the participation of the citizens (Reda, 2016). Overall, e-information should go together with e-participation, which needs more effort. Intermediaries could play a vital role in facilitating the procedure of e-information to let the citizens be more informed and involved in e-consultations and other e-participation types (Lironi, 2016). Encouraging participation and active citizenship. Offering citizens a policy agenda-setting power. Supporting stakeholders to learn about decision-making and political processes. Minimising the democratic deficit by connecting stakeholders. The method can be used to involve stakeholders in writing political manifestos, defining policy mixes and priorities, determining the allocation of budgets, and participating the political process of decision-making. Political parties, cities, local councils, members of Parliaments, community groups, and several organisations already tested existing tools for this method such as D-CENT. Overall, creating policies via co-creation results in processes and outcomes that will be more open, more clear, and more cooperative (D-CENT, 2016). For RIS3 it is vital to involve a diverse set of stakeholders within a co-design process for a policy-mix. So, this type of method can be used to receive feedback on policies, different agendas and programmes to make the design process easier. Additionally, the stakeholders can vote on the drafts and add comments to improve it. Co-design could support focus on new (entrepreneurial) ideas as more people are involved and engaged. Co-design can result in receiving more feedback and ideas from the public for a better RIS3 result. Furthermore, additional (entrepreneurial) information on the region is also gained. As a result, the stakeholder and citizens of the region or nation feel more involved in the RIS processes since they are able to add their opinions in the co-design process of RIS3. This method also encourages “quiet” individuals to share their feedback as every opinion is weighted equally. Additionally, this method and tool should be easy to use from everywhere, at any time. Many cities and countries have implemented existing tools such as D-Cent and have gained much more information on specific topics. Nevertheless, particular effort has to be taken to inform stakeholders of the possibilities for becoming part within the design of RIS3. Additionally, stakeholders need to be introduced to relevant S3 topics. To implement the method via a tool such as D-CENT – knowledge of Object 8, Clojure (JVM-based language) is required,, because this programme is written in this language. Knowledge in PostgreSQL is also essential because this is the type of database the data is stored in. Furthermore, the tool supports authentication through Facebook, Twitter, and Stonecutter by using the OpenID Connect specification. So for the user, a Facebook account, Twitter account, or an email registration is necessary to access the co-design tool. For the email registration, a username, email, and password is needed. Additionally, feedback and ideas for the co-design phase are necessary from the users. The Object 8 tool is written in Clojure (JVM-based language). The database used is PostgreSQL. Gramberger, M. (2001). Citizens as Partners OECD Handbook on Information. Consultation and Public Participation in Policy-making, Paris: Organisation for Economic Co-operation and Development. Jansen, A. M. (2013). Liquid Democracy: Counteracting Democratic Deficits in German Politics, Saarbrücken: Lap Lambert Academic Publishing GmbH KG. Irvin, R. A., and Stansbury, J. (2004). Citizen participation in decision making: is it worth the effort?. Public Administration Review, 64(1), 55-65. Macintosh A. (2004). Characterizing e-participation in policy-making, in: Proceedings of 37th Hawaii International Conference on System Sciences, 1-10. Sánchez-Nielsen, E., Lee, D., Panopoulou, E., Delakorda, S., and Takács, G. (2014). Engaging Citizens in Policy Issues: Multidimensional Approach, Evidence and Lessons Learned. in International Conference on Electronic Participation. Berlin Heidelberg: Springer Verlag, 102-113. Tuzzi, A., Padovani, C., and Nesti, G. (2007). Communication and (e)democracy: assessing European edemocracy discourses, in: Cammaerts B. and Carpentier N (editors). Reclaiming the media. Communication rights and democratic media roles. Bristol, UK, Chicago, USA, Intellect, 31-65. United Nations (2014). United Nations E-Government Survey 2014: E-Government for the future we want. New York: United Nations Department of economic and social affairs. Warren, M. E. (2009). Citizen participation and democratic deficits: considerations from the perspective of democratic theory. Activating the Citizen. UK: Palgrave Macmillan, 17-40.